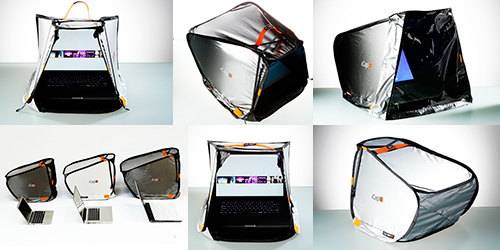 Protect notebooks & Netbooks against sun, glare, heat, rain, sand and other influences! - small, deep enough, functional and nice. 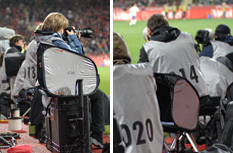 - specially developed, opaque (does not let light through), waterproof, anti scrach coated reflective fabrics. - 5 side slit openings on every side for ventilating, for cables and for USB Sticks. - Side flaps for covering the side openings and protect against rain. - 2 tension belts to reduce the front opening and stabilize or adjust iCap on 2 clew buckles. - 2 hook-and-loop buckle belts to fixate against wind. 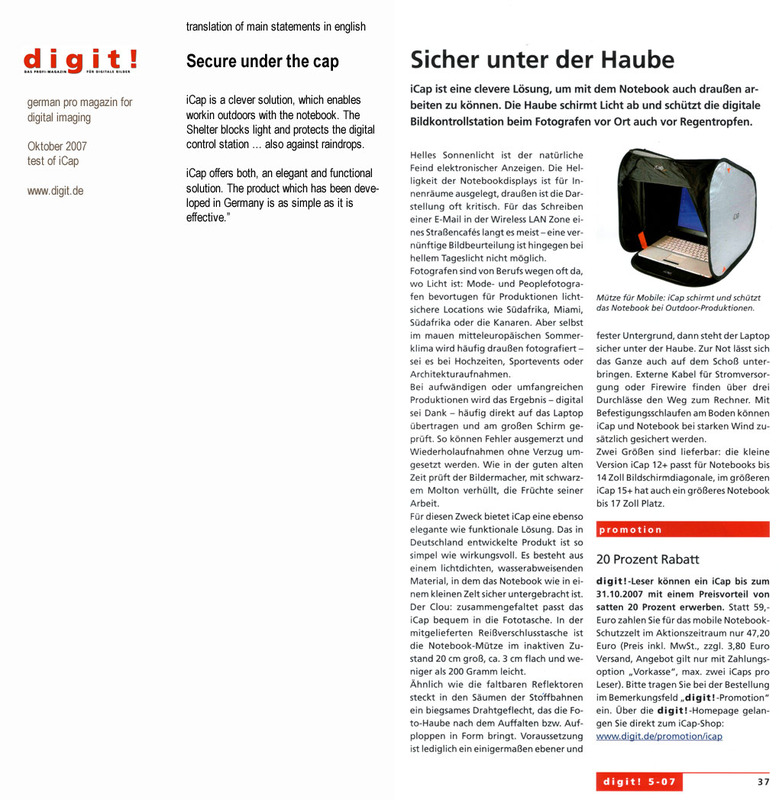 - Handle to carry iCap together with its content. 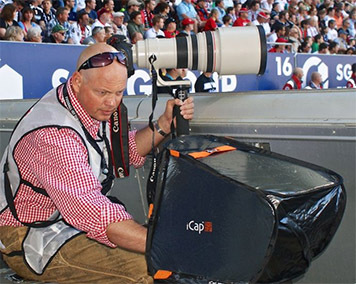 at the Ageas Bowl, Southampton, 2013﻿"
Christian Kolbert in Action in the German Bundesliga. 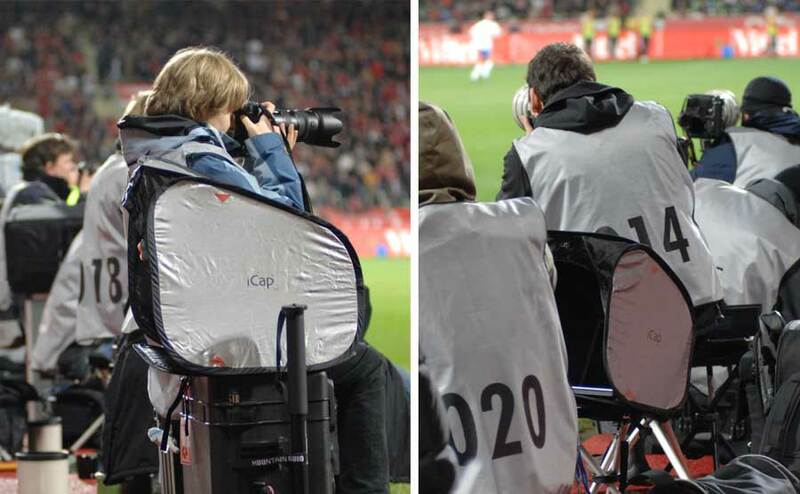 Christian uses an iCap MIN PRO, which he fixated with its 2 hook/loop belts on a tripod with a plate. 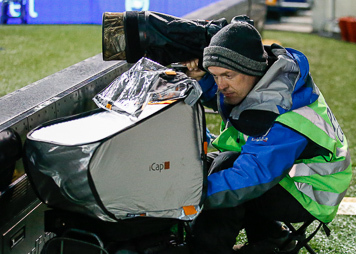 Not only professional – photographers, also pro’s from many fields, as skippers, golf instructors, sports organizers, land surveyors, architects, construction supervisors, and many others prefer iCap as protection for laptops in the work outdoors. 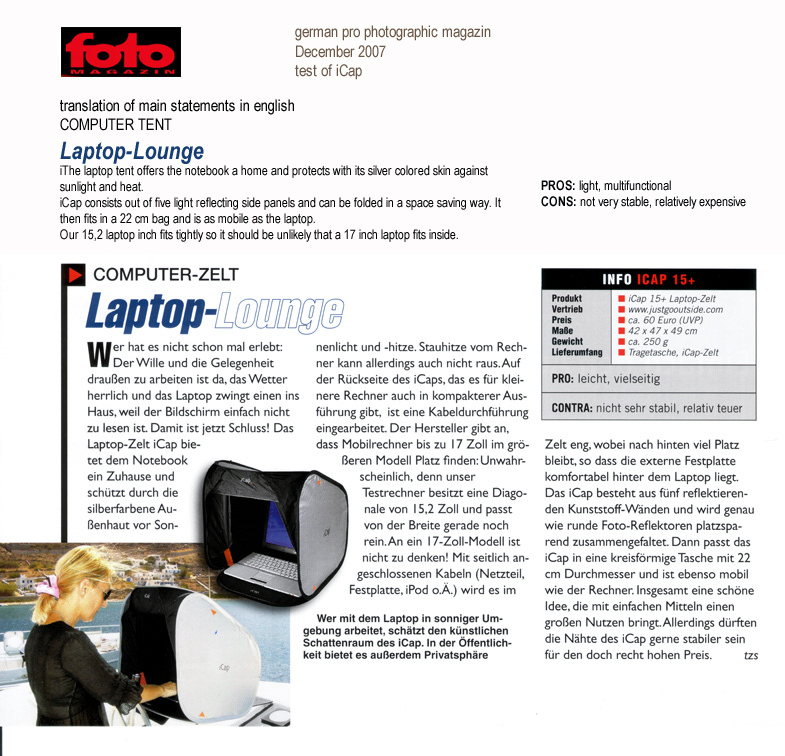 "Test of the german Macworld magazine: iCap - sun protection for your notebook"
Plastic tent for outside work . 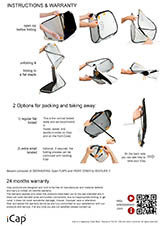 iCap comes in a small flat round zipper bag to easy take it with you. after a long, gray, rainy winter finally in may a brilliant day comes up... but you have to work. 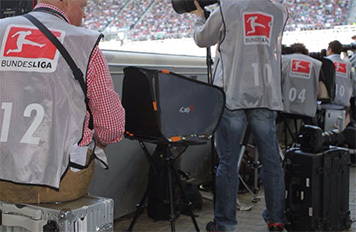 Professional Photographers, Architects, engineers, Golf-, tennis and other pro's for videoanalysis, Journalists, Eventmanager and many - many other. 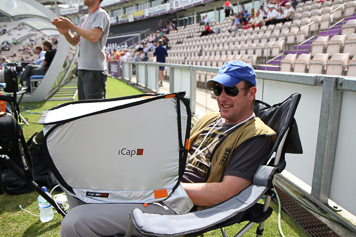 "iCap protects from sun and rain"